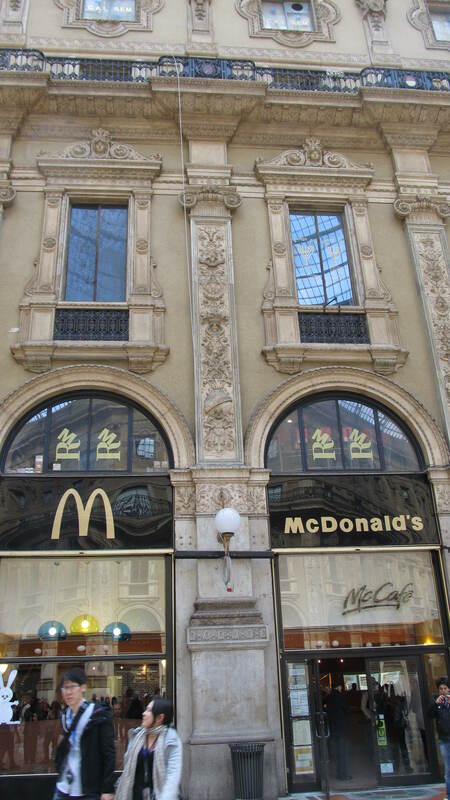 Last time we were in Bologna there was a McDonald’s (much to our surprise) – now there are two! But the more interesting thing is how chyc they are – there is an outdoor patio that looks like every other cafe in Italy and well-dressed people spending an hour+ eating their McDonald’s tiramisu and sipping their McDonald’s cafe macchiatos (yes, they also have hamburgers and fries). The McDonald’s usually manage to be in the swankiest places and make for the least expensive opportunity to sit in a cafe and people-watch. Finally, I must add that the stereo-type of Italians eating late is very true – went to dinner at 8:00 one night and we were the VERY first people there! Since I couldn’t get used to people saying we should meet at 9:00 to GO to dinner, I mostly ate lunch. Buon Appetito! Great blog! Keep these images and commentary coming.